It is not easy for families to cope with infertility issues, especially when they really want to conceive. There is often an overwhelming feeling of anguish and a sense of loss. Acupuncture, while valued for its relaxing and stress-relieving benefits, has recently become a component of fertility treatments. Acupuncture is part of traditional Chinese medicine, which applies herbal medicine and various mind/body practices (e.g. tui na, moxibustion, tai chi, Chinese cupping, and acupuncture) to treat or prevent health problems. Acupuncture, specifically, has been rapidly accepted by the general public all over the world, and is being practiced by many therapists today. Other infertility treatment options (surgery, home remedies, in vitro fertilization) can range from hundreds of dollars for medication to tens of thousands for advanced procedures like intrauterine insemination (IUI) and in vitro fertilization. Thanks to modern healthcare, the array of options available for couples struggling to conceive has vastly expanded. Alternative and holistic treatments (such as acupuncture) are gaining popularity with the general public, especially those in search of affordable and effective health care. Acupuncture increases conception rates by 26% when used in conjunction with traditional fertility treatments. The result of a recent study done by Tel Aviv University reports 65.5% of the test group were able to conceive when IUI was combined with traditional Chinese medicine treatments. Every year, there are 4.5 million couples who encounter infertility issues. The use of acupuncture may be an answer. The foundations of acupuncture are believed to date back to the Stone Age when sharp-edged tools were used to puncture the skin when a person has abscesses and needed to drain blood. This means that acupuncture has a recorded history of about 3,000 years. These needles were originally made from gold, silver, or bronze, but modern acupuncture only uses stainless steel filiform needles. In the United States, physicians started practicing acupuncture in the early 1800s. When New York Times journalist James Reston had an emergency appendectomy in China, acupuncture was used as a pain reliever. His newspaper published a 1971 story about him and it piqued public interest in the procedure. Acupuncture’s potential to manage vomiting, nausea, and post-operative pain was advocated by the National Institutes of Health Consensus Statement in 1997. Ten years later, a report published by the National Center for Biotechnology Information (NCBI) stated almost 40% of adults used alternative and complementary therapies (such as acupuncture) in the prior year. Researchers have been compelled to take a closer, scientific look at the full potential of acupuncture due to the rise of its popularity. 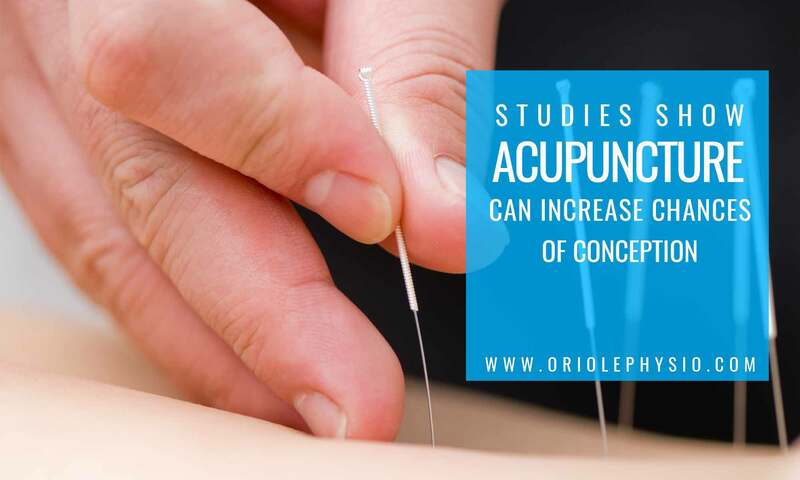 Because acupuncture can relieve pain, reduce stress, and aid weight loss efforts, its benefits have raised interest in its potential to increase the chances of conception. Stress is one of the factors that can interfere with ovulation. This is due to the delicate balance between the pituitary, hypothalamus, and reproductive glands. Stress can create spasms in both the uterus and fallopian tubes, interfering with movement and implantation of a fertilized egg. In men, stress can cause impotence, motility, and alter sperm counts. Using acupuncture for infertility treatments works because the procedure releases endorphins in the brain, countering the effects of stress and cortisol. The most common cause of female infertility is an ovulation disorder in which a mature egg is prevented from being released from the ovary (because of a hormonal imbalance). The fetus is not able to attach to the uterus as there is not enough progesterone. Another reason ovulation does not occur is due to high levels of prolactin, the hormone that stimulates the production of breastmilk. Sperm motility and production can also be affected in men when there is an imbalance in the reproductive hormones. However, the fertility drugs that stimulate ovulation in women by regulating the pituitary and hypothalamus (the glands that control reproductive hormones) don’t perform as well with men. In fact, success rates are about one-third of those for women. Male infertility treatment needs to be handled differently. 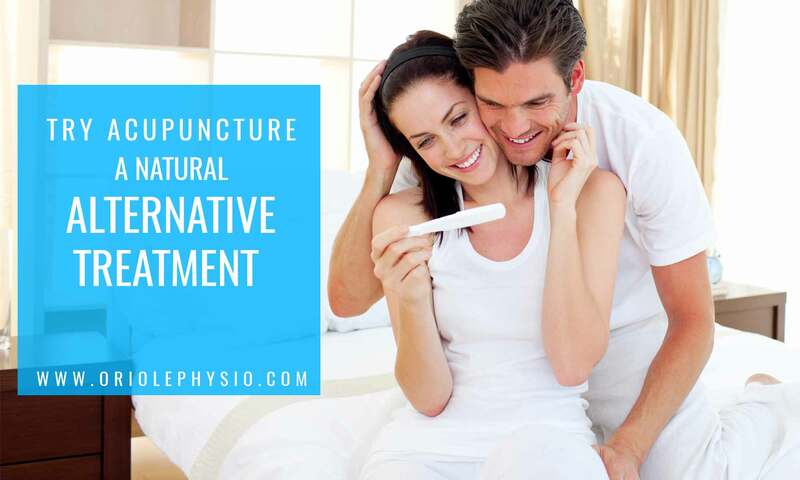 If impotence is a factor in a couple’s infertility, an herbal impotence cure has a reported success rate and no side effects when taken in conjunction with male infertility treatment. 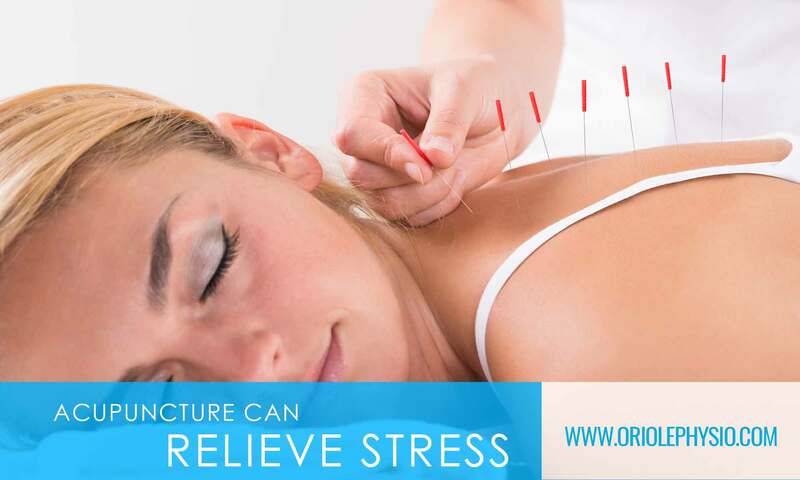 Acupuncture has been shown to reduces stress and may then increase fertility. According to several studies, it can also balance the endocrine system and increase the blood flow to the reproductive organs. Because acupuncture provides better blood flow to the ovaries and uterus, there is a stronger chance for an egg to be nourished and carried until it reaches full term. There are more than 2,000 acupuncture points on the human body, which connect with 14 major pathways (called meridians). Modern acupuncture consists of the gentle insertion and stimulation of thin, disposable sterile needles at any of these acupuncture points. Chinese medicine practitioners believe that the meridians conduct energy (or qi) between the internal organs and the surface of the body. It is qi that regulates emotional, mental, physical, and spiritual balance. When poor health habits and other circumstances disrupts the flow of qi, disease and/or pain can result. Acupuncture increases a couple’s chances of conceiving by helping to keep the normal flow of this energy free and clear. 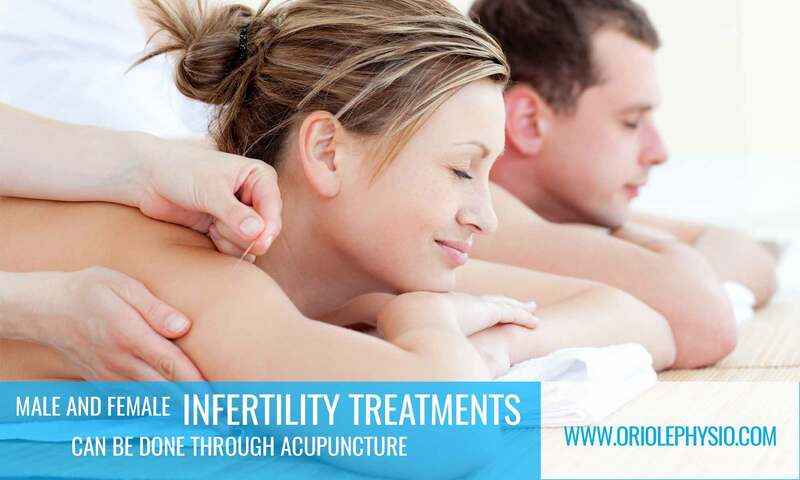 Acupuncture treatments can be used to address almost all causes of infertility. Approximately 40% of infertility problems are attributed to issues with the female’s health (especially when disorders like endometriosis and anovulation are present). Another 40% are caused by problems in the male’s body, including motility or low sperm count. The remaining 20% are the result of unknown causes. Acupuncture produces little to no side effects. It stimulates the hypothalamus to effectively balance hormones and the endocrine system to get to the root cause of female infertility (as well as male infertility). This time-tested and natural alternative treatment used by eastern cultures could be worth a try for couples struggling to conceive. 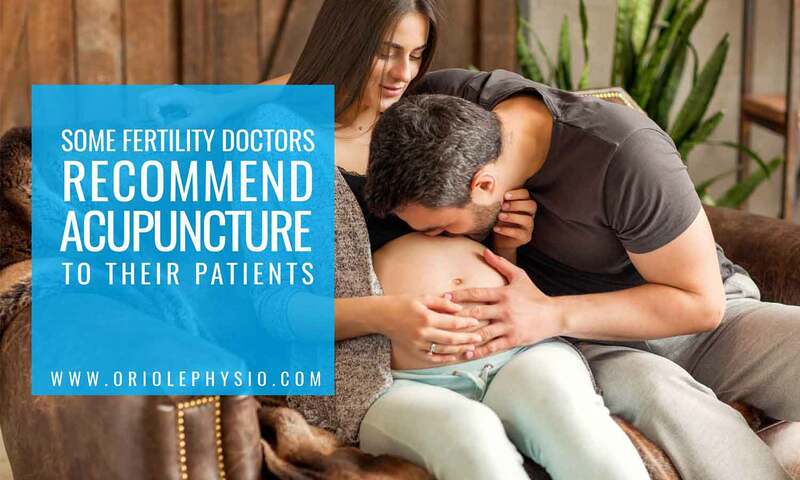 If you are ready to try acupuncture as part of your overall treatment for infertility, North York patients can contact Oriole Physiotherapy & Rehabilitation Centre at (416) 221-0772. Book an appointment with one of our experienced and licensed acupuncturists and let us help explore potential solutions together.